It's February 14th, and we know what that means. We get to either discuss the joys of love, the lack thereof, or discuss some post office related to the name Valentine. I stand by my decision. 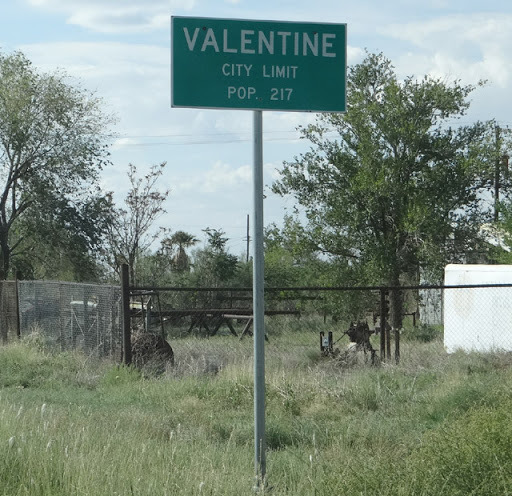 If you'd like to view the definition of the middle of nowhere, you need not look much further than Valentine, Texas. The town, according to its 'City Limits' sign, maintains a population of 217 people. Located in the state's southwest panhandle along U.S. 90, the town is closer to Mexico (25 miles from the Rio Grande) than from any neighboring town (the arts community of Marfa -- 35 miles -- or the I-10 motel stop of Van Horn -- 38 miles). In fact, these distances place Valentine far enough away from any other community that its post office must remain open at six hours a day according to USPS's POStPlan. 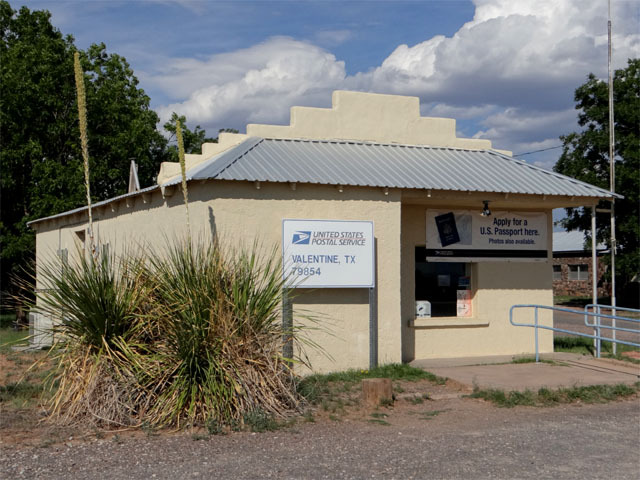 By the new terminology it becomes a "Part-Time Post Office" (PTPO) that reports to the local postal District (in this case, Rio Grande). If the distance were less than 25 miles to either post office then Valentine's would have been reduced to a two-hour operation. In fact, the Valentine post office was threatened with closure under USPS's ill-fated Retail Access Optimization Initiative (RAOI) back in 2011. 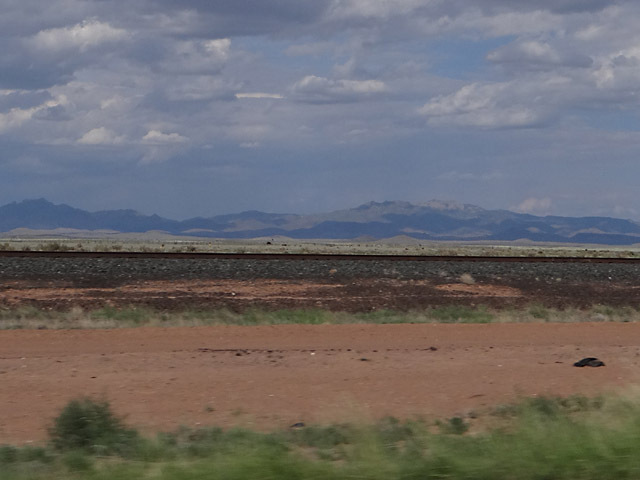 The most interesting facet of the landscape lies about halfway between Valentine and Marfa to the Southeast. Ten miles out a massive, round object protrudes from the horizon, one so unexpected that you wonder if you've teleported the 200 miles north to Roswell. As it turns out this is one of ten U.S.A.F. Tethered Aerostat Radar System sites along the southern borders of the United States. 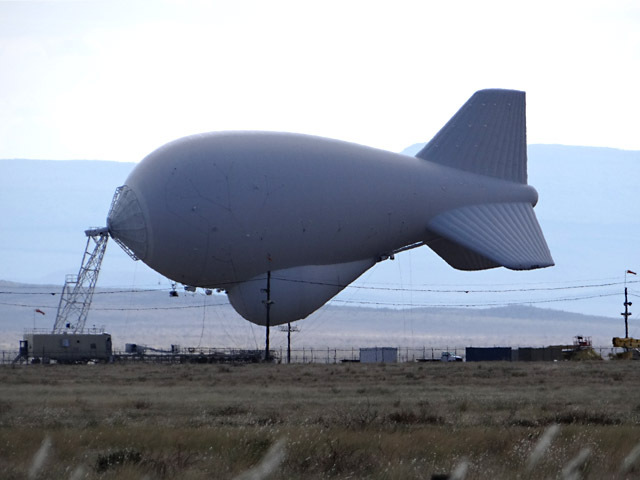 Located at sites from Yuma, AZ to southern Florida and Puerto Rico, these blimp-like objects rise and scan for aircraft and surface-level intrusions from abroad. Who knew? Beyond this (and an art installation just west of town known as Prada Marfa) the land is peppered with ranches. Train tracks parallel U.S. 90 and bisect Valentine. The landscape is flat though hills are visible in the distance. As we might say in urban areas, the sky is big. 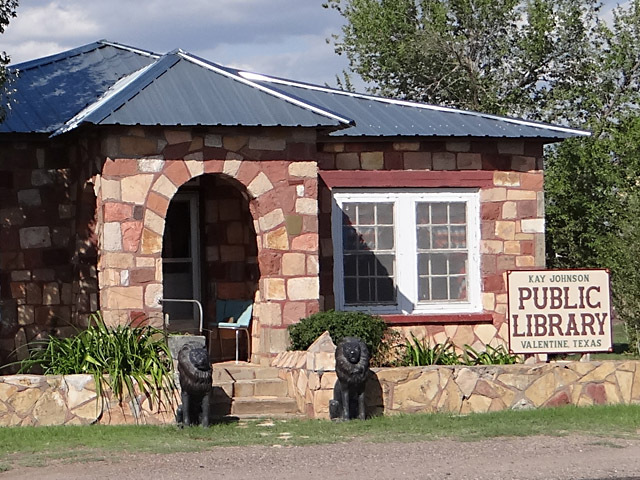 I was pleased to find a beautiful stonework Public Library in Valentine. The building has been maintained beautifully (though, to be fair, it was dedicated in 2009) and even pays homage to the main branch of the New York Public Library with two lions out front! You can read more about the Kay Johnson Public Library and its dedication here and here, respectively. The Valentine post office was established Jan. 22, 1886. Here the post office is a big deal. Heck, the Valentine post office is big all over the place. The post office offers an annual pictorial cancellation with which senders the world request their Valentine's mail to be postmarked. Valentine's 2013 pictorial features two 'love birds' sitting on a ranch landscape fence. To order a cancel (whose requests must be received within 30 days), send your request and items to be postmarked to the address at right.